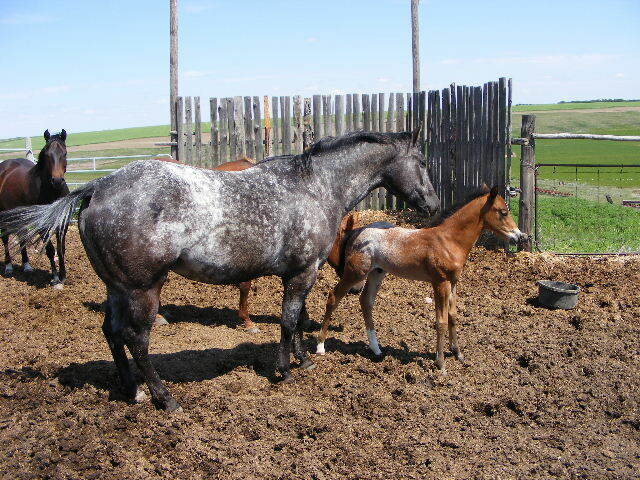 These pictures are of my Appaloosa mare named QAR Cupids Queen, aka Cookie. 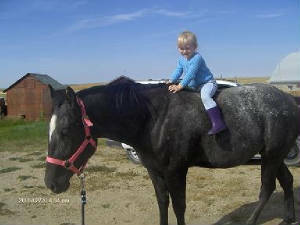 She is a registered Appy who is now 3 years old. She is offered for sale to the right home. This mare will be able to do it all. You can check your fences in the morning, take her to a show in the afternoon, then herd the cows in the evening. 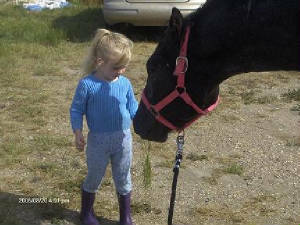 She has the speed, agility, attitude and brains to be a Gymkhana or Team Penning horse and the gentleness to be a great pet and friend. 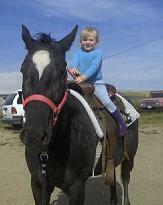 She could ride English and Western style with no problem as well. Click on the pictures to open a new window for larger viewing. 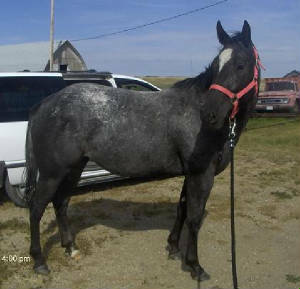 Update...Cookie has been bred to a beautiful solid Bay Appaloosa stallion for a 2007 foal. 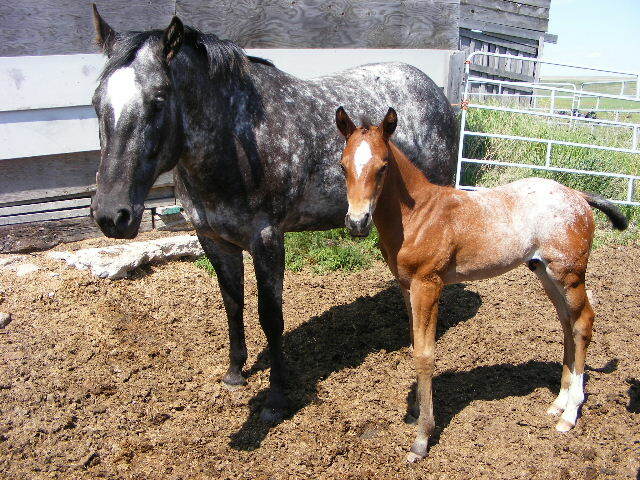 Her colt was born May long weekend and is quite the stunning little guy! Pictures are below. 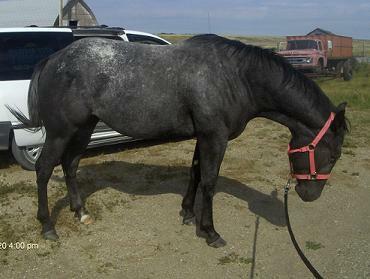 The colt is spoken for but the mare is still available for sale. 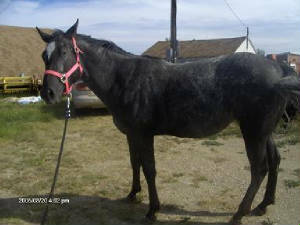 Please contact me for more information on this wonderful mare. She has a wonderful temperment and loving personality with a ton of patience. She really trys to please you. Oh, and so does Cookie..lol.